Do you find yourself crating your puppy too much during the day? As puppy owners, we’ve all been there. You’re in and out of the house running errands or trying to make meals and clean the house. You can’t leave your pup totally unattended—oh, the trouble they can cause! But too much time cooped up in a crate isn’t ideal for dogs of any age. They need time to play with their toys and move around. Puppy playpens are an excellent alternative to over-crating. 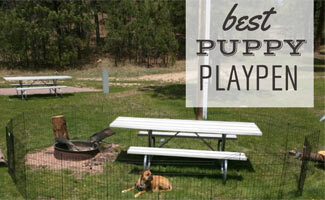 Check out our best puppy playpen picks below. You’ll have a happier pup (and a happier you). Why Do I Need A Puppy Playpen? In many cases, crates aren’t enough. But first, keep in mind, a puppy play pen isn’t a replacement for the outdoor exercise your puppy needs on a daily basis. (An outdoor dog pen won’t cut it.) Although puppies don’t require nearly the exercise that adult dogs do, they still need to walk every day. The U.K. Kennel Club recommends five minutes per your puppy’s month of age (no more than twice daily). So, if your puppy is two months old, he should get 10 minutes, at three months old, and so on until he’s fully grown. But a puppy exercise pen still helps your pup’s developing muscles and joints become stronger—much more so than lying around in a crate all day. A dog exercise pen also encourages your pup to develop independence and confidence. It’s important for him to learn that he doesn’t need to be attached at your hip 24/7. Puppy pens give you and your dog peace of mind. What About Closing Off An Existing Space? If you have an area in your home that is safe for your dog to spend limited time in alone and can be closed off with one simple added boundary, you might want to consider a dog gate or a freestanding gate to close off a larger opening. Sadly, it can be difficult to find spaces that are easy to close off, not needed regularly by the humans and is safe enough to leave your dog unattended for short periods. In these cases, you should consider one of our recommended playpens. What’s The Best Puppy Playpen? There are an overwhelming number of excellent dog pens on the market. We’ve done our research and broken down our top choices by category to help you find the best puppy playpen for your home and pet. Richell’s Convertible Pet Playpen is the “top dog” of puppy playpens. 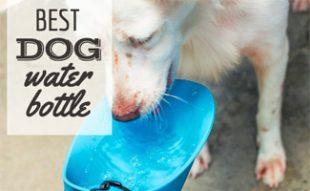 It’s the most attractive and stylish of the pack, and the sturdiest dog pen we’ve reviewed. This playpen is made of thick, durable plastic and is great for indoor and outdoor use. It’s also one of the most versatile, easily converting to a room divider or pet gate. 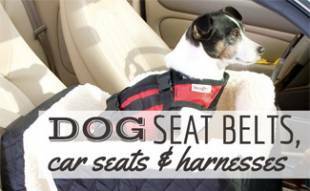 Richell also offers a couple of nice add-ons—a pet comfort mat and a convertible floor tray that you can also use as a roof. The potential drawback for some owners? The best dog playpen has a pretty hefty price tag. But if your budget allows, we think it’s the best pet exercise pen on the market, paws down. If you decide to go with this playpen and plan to use it outside, you might want to add this cover to provide shade on sunny days. If you have a small- to medium-sized breed, the Iris is an excellent choice, especially if you don’t have a lot of space in your home. It’s a compact and attractive alternative to wire playpens, which is why it’s a great small puppy playpen. Don’t let the plastic fool you—this is a sturdy pet pen with double steel door latches. And you can use it indoors or outside. You can even go crazy with some of their color choices. This is an excellent playpen for puppies to keep them from chewing on things they shouldn’t be chewing on. If you have selected this playpen, you might want to add this extension to increase the size of the pen. 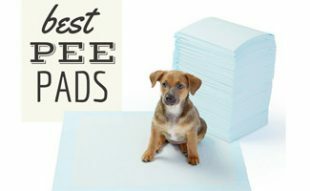 If your dog is not yet housebroken, you could also get a potty training floor tray and pee pads (these would work in most of the recommended enclosures reviewed here). The Midwest exercise pen is a good choice for larger breed puppies who need a little more room to move around. It consists of eight 24″ wide panels with a black E-coat finish for protection against the elements (you can use it in or outdoors). The Midwest includes corner stabilizers for indoor use and ground stakes for outdoors. We love that it’s available in 5 different heights and that you can purchase an add-on sunscreen or wire mesh top for shade or security when outside. The Oxgord Exercise Yard Fence is a large, extremely sturdy area for your puppy to stay secure and have fun while outdoors. It comes with multiple panels and a double-latch door, and you can configure this playpen in different shapes. This outdoor playpen consists of heavy duty steel with a rust-resistant coating, but it’s easy to assemble (no tools required). It folds down easily for storage, but some of the panels are 30 inches wide so that portability may be an issue. You also get ground anchors for extreme durability. The Oxgord is 73 inches in diameter when assembled as an octagon. Do you travel a lot with your puppy? If so, the Zampa portable playpen for dogs is a must-have. This playpen is easy to set up and fold down and comes with a handy carrying case. Although not as sturdy as steel pens, the Zampa is pretty durable and has an attached floor mat and reinforced corners and seams to keep your puppy put. It’s even water-resistant so you can take it outdoors. The pen measures 24 inches high and 45 inches in diameter, so it may not be best for larger breeds or older puppies once they grow bigger. But the portability is a breeze. Learn more about traveling with your pets. What If My Puppy Is An Escape Artist? And then there are those pups who are just too crafty for some types of playpens (see the video below). If you already know your puppy is prone to mischief, make sure you find the best escape-proof playpen you can. Outdoor Puppy Playpen Or Wireless Fence? If you’re deciding between an outdoor puppy playpen or a wireless fence, you may want to consider reading this article about wireless dog fences. Why limit your dog to a small area of your backyard when you can give them access to the entire area? Wireless dog fences give your dog more exercise space (find out how much exercise your dog needs), and they don’t take up space in your yard. Maximize your puppy play yard with the gear that fits you and your dog’s needs. Which puppy playpen would you recommend? Sometimes I take my pup Charlie to work but I don’t want him to be disruptive to others or run off while I’m not paying attention. 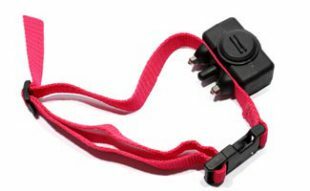 I tried keeping him on the leash at my desk but it keeps getting tangled up around my chair so am going to try one of these, probably the Zampa to keep at my cube for days when he comes with me.